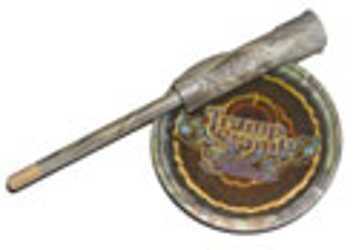 The Tramp Stamp Glass turkey call uses real glass so it is Responsive and Easy to Use. This call is capable of Loud High Frequency Calls that make it awesome for locating a hot gobbler. Once you have got him going it will also back down to produce easy seductive hen calls that will bring him struttin right into your sights. The Super Magnum Hickory Striker is perfectly balanced so the call will break over just right every time and it is heavy enough to have all the volume you will ever need. Super Abrasive sandpaper included so you can keep the glass surface and striker tip in optimal condition. Features: •Real Glass is Responsive and Easy to Use •High Frequency Loud Calls and Seductive Soft Tones •Super Abrasive Sand Paper included •Magnum Hickory Striker is perfectly balanced Michael Waddell is arguably the most popular figure in the outdoor industry today. A winner of numerous turkey calling competitions, Michael only puts the best to use when he’s in the field. That’s why he is a proud endorser of the Flextone line of calls. Michael is also a proud spokesman for the National Wild Turkey Federation, dedicated to the conservation of the wild turkey and the preservation of the hunting tradition. Instructions Hold call with your off hand using your thumb and finger tips. With your dominant hand hold the striker as you would a pencil at about a 20º angle away from you. To produce a yelp move the striker in small tight circles with light to moderate pressure. For right handed use draw counter clockwise circles and left handed use draw clockwise circles. You can vary the volume by the amount of pressure you put on the call. Very light slow circles produces a soft tree yelp while heavy pressure creates lots of volume great for locating a wily ol’ tom. To cackle move the striker in fast tight circles. For realistic clucks and cutts move the striker straight down approximately 1/4” to 1/2”, space your clucks out slowly but make the series rapid for cutting. 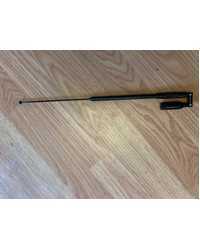 To purr move striker straight down approximately 1” allowing the striker to kind of bump along the call surface. For the best performance keep the glass free of oil and finger prints and use the supplied sandpaper to keep the glass surface and striker tip slightly rough. THE GLASS SURFACE OF THIS CALL MUST BE SANDED PRIOR TO FIRST USE.